The Management of Moshood Abiola Polytechnic, Abeokuta has announced Thursday, Friday, and Saturday, 27th, 28th and 29th August, 2015 as dates for entrance examination into Full-Time National Diploma Programmes of the Polytechnic. The e-examination, which will hold on Thursday, Friday, and Saturday, 27th, 28th and 29th of August 2015, is expected to be attended by all candidates seeking admission into all available Full-Time National Diploma Programmes of the Institution. 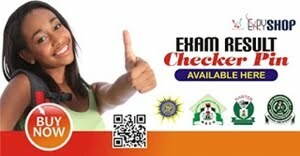 Candidates, who must have completed the on-line 2015/2016 Post-UTME screening form of the Polytechnic, will within the period, be trained on the use of modern facilities to attempt the screening examination, the result of which will be made available shortly after the screening examination. Entrance into the examination halls shall be based on the provision of the print-out of the completed on-line screening form and the 2015/2016 UTME slip by all candidates. 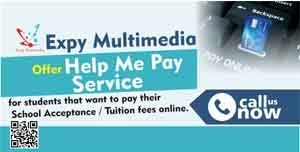 For help on how to fill the form call Expy Multimedia or whatsapp 08080085555 or visit us at 82, first floor, Chief Amosun plaza, Oluwo junction, Onikolobo, Abeokuta, Ogun State. Like us on facebook to get more info on sitting arrangements. v MAPOLY Post UTME registration starts from 19th June, 2015.